Is it worth treating the seed? In the old days, the recommendations were if you has a batch of seed that was less than 70% germination, that it should not be used the next year. 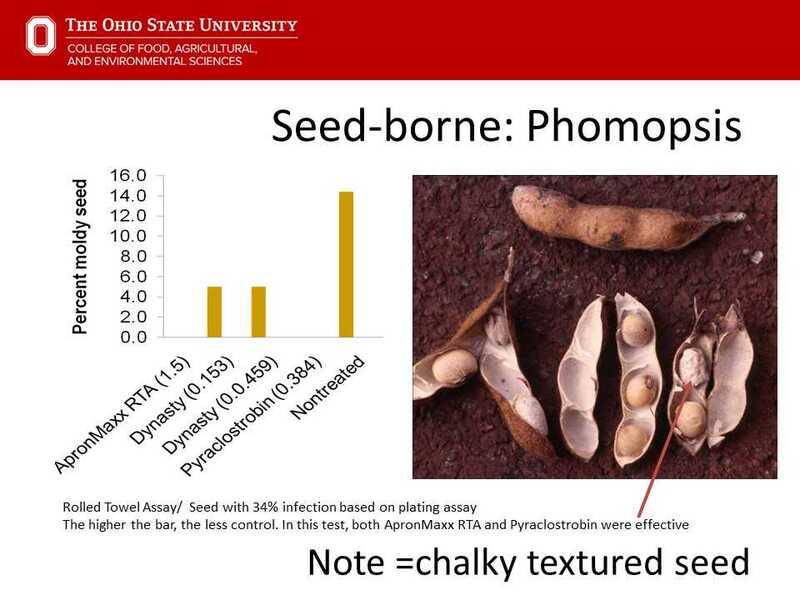 Based on the samples we received, the infections were mostly on the outside of the seed and the seed germinated before it was colonized by the fungus. Seed treatments greatly improved germination and health of the seedling by as much as 40 to 50%. We have stored the seed under very dry conditions, to inhibit any additional colonization of the seed, so that has helped. With seed of some varieties going to be limited, and the seed treatments are working, we may have some room here if needed, but only the best soybeans should be used for seed. 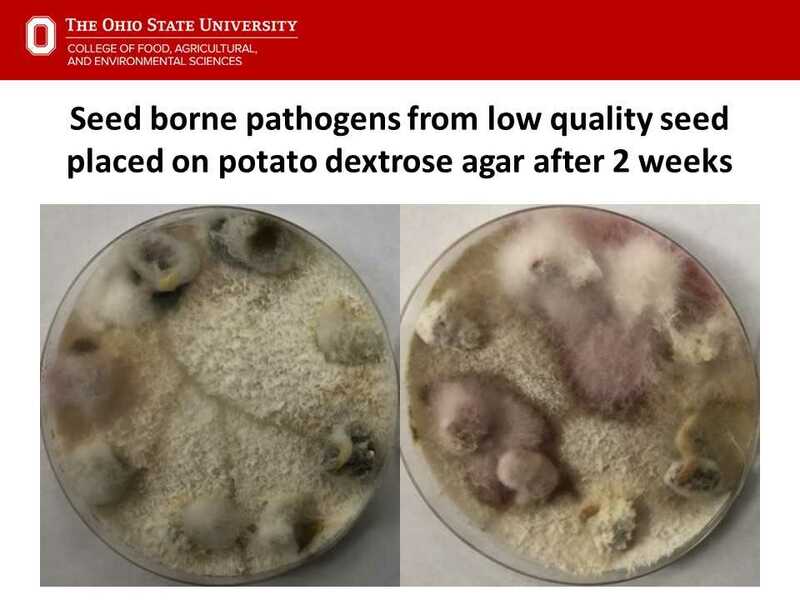 Which fungicide seed treatment was most effective? There are several fungicide active ingredients that are effective towards Phomopsis and Fusarium seed decay: fludioxonil, fluzapyroxad, ipconazole, PCNB, penflufen, prothioconazole, pyraclostrobin, sedaxane, and thiabendazole (TBZ). Thank you to Syngenta Crop Protection and Valent, we were able to evaluate a couple of these compounds on some poor quality seed. 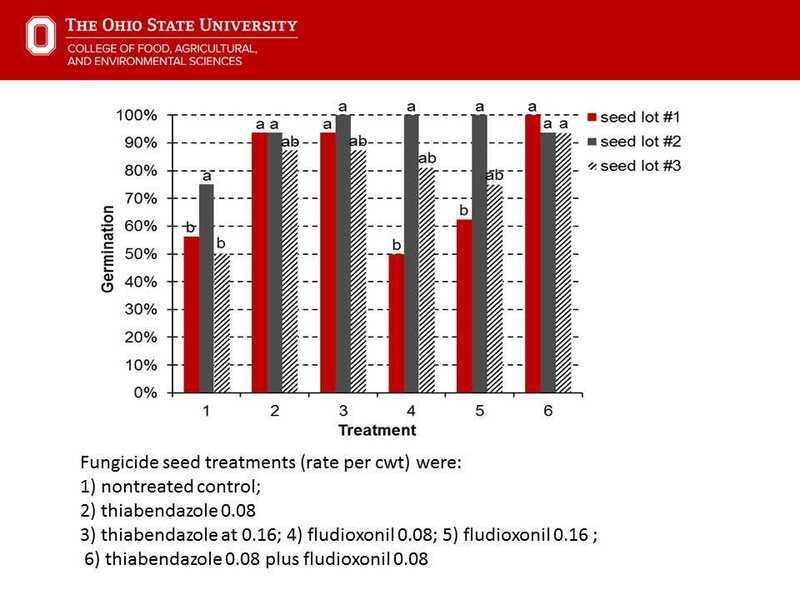 Fungicide seed treatments (rate per cwt) that we evaluated were: 1) nontreated control; 2) thiabendazole 0.08; 3) thiabendazole at 0.16; 4) fludioxonil 0.08; 5) fludioxonil 0.16; and 6) thiabendazole 0.08 plus fludioxonil 0.08. Pick the best conditions to plant in 2019! 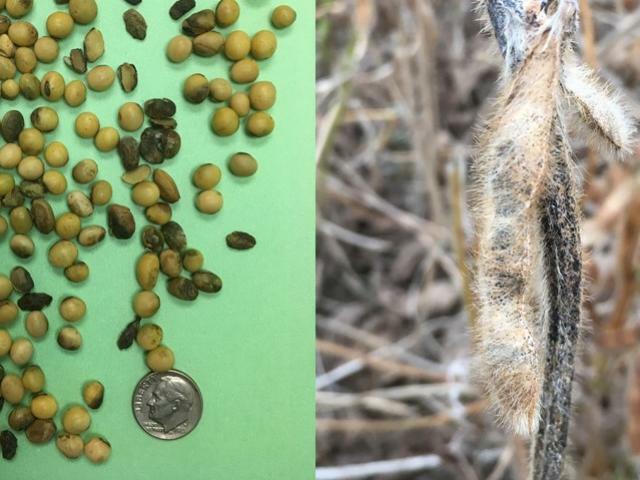 Soybean seed had a rough go of it at the end of the 2018 season and it will also have a rough go of it once it is planted. Once it is cleaned and sorted, has the right fungicide seed treatment on it, use the best days to plant the seed. As close to that May 1 day where soil temps (not air temps) are suitable and the rain that is forecast is reasonable, not an Ohio 4 to 5” dump like we’ve been getting. My fingers are crossed, we have a decent planting season this year.. we are long overdue!